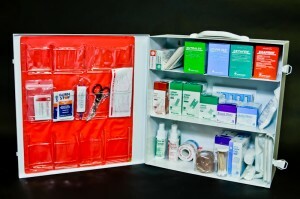 Reliable Fire offers a large selection of first aid supplies Restocking your first aid cabinet can be as easy as 1, 2, 3! With Reliable Fire & Security, we can take the guess work out of your first aid program. We understand that your health and safety program is one of the least expensive and most valuable services you provide for your company. We can provide you refill service on site with our specially equipped mobile service vans. Special orders are always available. You may place your orders by phone, fax, and Internet or simply be placed on one of our automatic service routes. 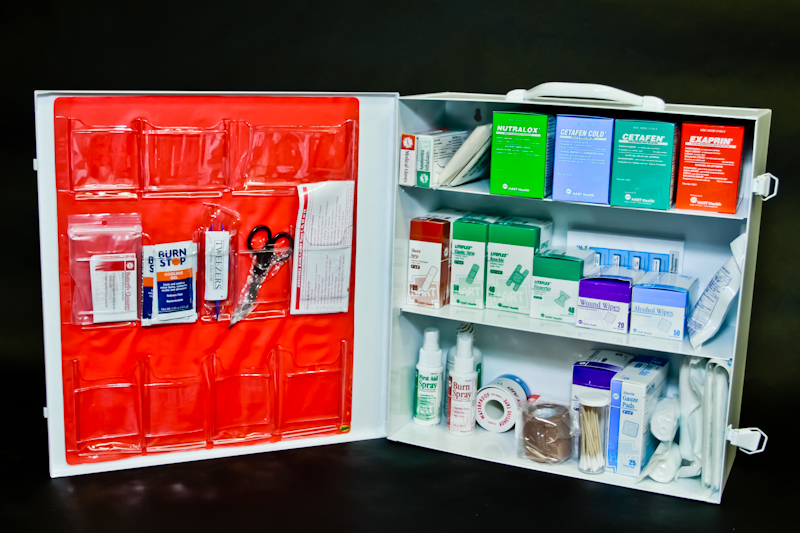 At Reliable Fire, we inventory a large selection of cabinets, refills, over-the-counter medications and burn care items. Our stock includes a wide variety of tablets individually packaged to reduce waste and spoilage.